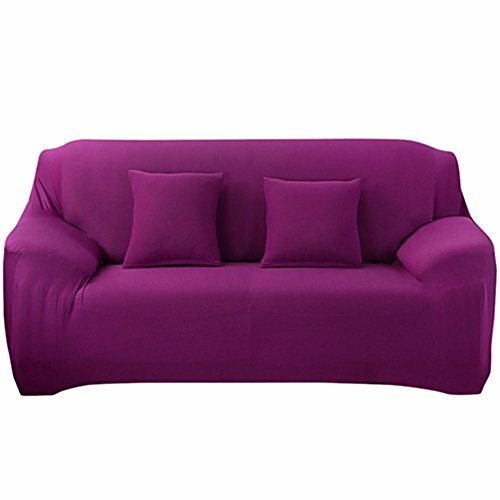 KKONION Modern Decorative Elastic Sofa Cover Solid Color Fashion Sofa Slipcovers For Living Room Stretchable Couch Cover Cushion by KKONION at Home Decor Outlet Store. MPN: XLL-OOO-8611. Hurry! Limited time offer. Offer valid only while supplies last. Modern Decorative Elastic Sofa Cover Solid Color Fashion Sofa Slipcovers For Living Room Stretchable Couch Cover Cushion. Pure color can create a clean and comfortable environment, whether it is work or entertainment, it is a good choice. Quality fabrics makes it prevent form mites and with no fading, without deformation even washed by water. Can be directly machine washed, no deformation, no shrinkage.